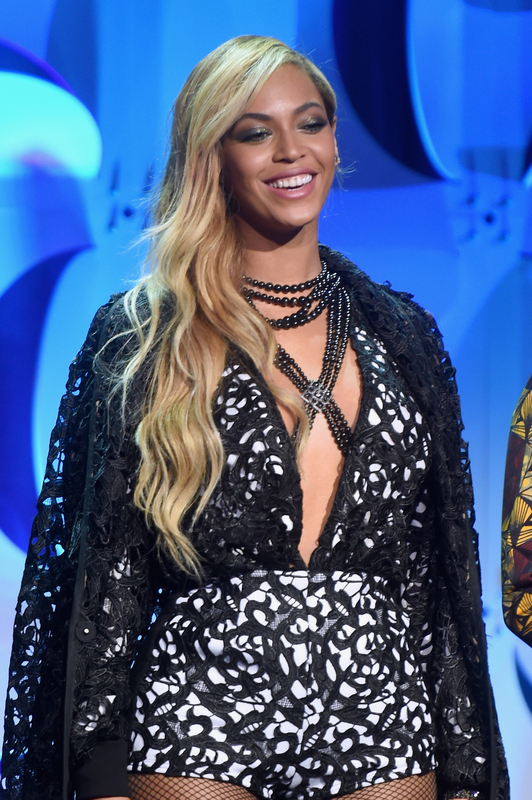 Will Beyonce & Naughty Boy's "Runnin (Lose It All)" Be On Her Next Album? You know what's better than an unexpected new song from Beyoncé on a typical Thursday afternoon? Oh — that's right, nothing. So, get ready to be super excited: "Runnin' (Lose It All)" by Naughty Boy, Beyoncé, and Naughty Boy has just been released, and it's amazing. Though I am beyond excited to share the video below, I must first ask the question we've all been waiting to ask: Will "Runnin (Lose It All)" be on on Beyoncé's next album? It's a question work asking: After all, in true Beyoncé fashion (i.e. the fashion that everything she touches turns to GOLD), "Runnin" has amazing vocals, incredible lyrics, and even a stunning video to go along with it. The track, put out by Naughty Boy (best known for his collaborations with Zayn Malik and Sam Smith), features vocals from the relatively unknown artist, Arrow Benjamin, and has some powerful things to say. “If I lose myself, I lose it all/ I’ve outrun the fears that chased, they’re standing still/ Ain’t running from myself no more/ Together we’ll win it all.” YAAAAS, we will win it all — if by "win," Bey means we get to listen to more of her music, anyway. This will be the first feature from Beyoncé since she appeared on a song from previous Destiny Child member, Michelle Williams, in 2014. Although it seems certain that this track will be on Naughty Boy's record (after all, it is his track), it's worth wondering if it make an appearance on Beyoncé's next album too, in the spirit of Sam Smith's similar collab with Naughty Boy. Hopefully, anyway. However, since that information isn't exactly available just yet (it looks like this is yet another question easier asked than answered), here's what we do know about Beyonce's next album so far. Going off this, maybe this Naughty Boy track is one of the collaborations? Also in February, Detail told Billboard that Jay Z and Beyonce are "actually doing something together this year." Cross all your appendages. One things for certain: Even if "Runnin' (Lose It All) isn't on the album, I'll be runnin' to buy it, whenever she decides to unexpectedly drop it (which, if we know Beyoncé at all, is exactly what she'll do).